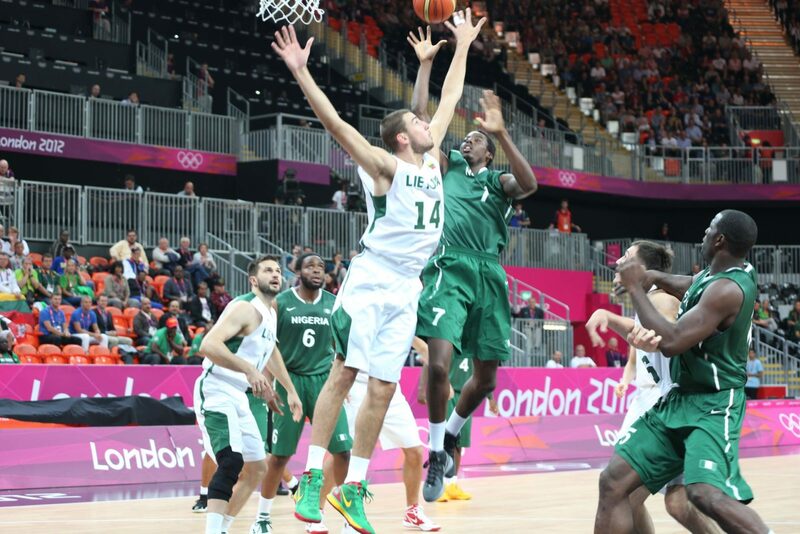 Lithuania earned their first preliminary round victory of the London 2012 Olympic Games on Tuesday, a 72-53 triumph over Nigeria in group A of the men’s basketball competition at the Basketball Arena. Both teams advanced to London 2012 from a qualifying tournament in Venezuela but there was a clear gulf between them as 12 points from Darius SONGALIA (LTU) paced a balanced assault from Lithuania. The Lithuanians, again backed by noisy travelling supporters, produced an improved performance from their disappointing loss to Argentina on Sunday, controlling the game as they led from start to finish. 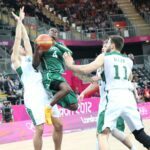 Nigeria’s physical frontcourt posed problems at times but the experience of the 2008 Olympic semifinalists saw them pull away convincingly. A 10-0 run from the Lithuanians in the second period opened up a 29-11 advantage but Nigeria’s best spell delivered a 10-1 spurt that brought them back to trail only 34-27 at half-time. But a 14-5 start to the second half, sparked by consistent offensve execution, was too hot for Nigeria to handle and a 1-16 three-point shooting performance killed off any thoughts of a comeback as their rivals moved as much as 23 points in front. 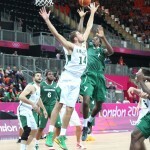 Al-Farouq AMINU (NGR) led Nigeria with 12 points and 11 rebounds.